President Obama on Tuesday is expected to announce measures directed against patent-holding companies, often referred to as patent trolls, according to a newspaper report. Obama is expected to announce five executive actions and seven proposed legislative changes that are directed at the patents companies, including legislation that would allow sanctions on litigants who file lawsuits deemed abusive by courts, The Wall Street Journal reported Monday, quoting senior administration officials. 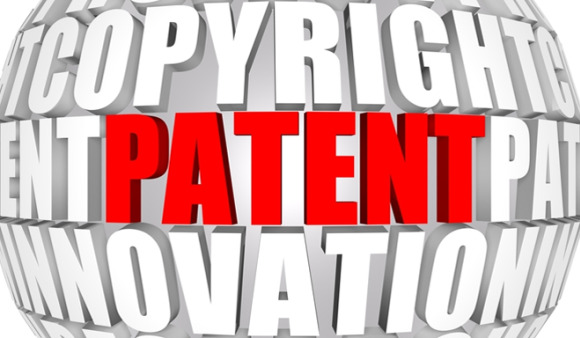 The role of patent trolls, who accumulate patents but don’t usually have their own products competing in the market, has come under scrutiny recently as they are seen to sue technology companies only to make money through damages and licensing fees. Some patent firms, however, claim they are protecting small inventors. Lawmakers and courts are already trying to put curbs on the misuse of patents. Legislation called the End Anonymous Patents Act was introduced last month in the U.S. House of Representatives to require disclosure of ownership and transfers of ownership of patents. The legislation aims to prevent the use of shell companies by patent trolls to disguise ownership during litigation, or the difficulty potential licensees encounter trying to uncover the actual owners of patents, Rep. Ted Deutch, a Florida Democrat, said in a statement after introducing the bill. The state of Vermont recently passed a law against “bad faith assertions of patent infringement.” Not only do the infringement claims impose a significant burden on individual Vermont businesses, they also undermine the state’s efforts to attract and nurture small and medium-size IT and other knowledge-based companies, according to the legislation. The bill was signed into law after MPHJ Technology Investments in Delaware allegedly threatened many Vermont small businesses and nonprofit organizations with patent infringement litigation if they don’t pay a per employee licensing fee of about $1000 for emailing scanned documents. The state’s attorney general Bill Sorrell also sued MPHJ for “unfair and deceptive acts.” The company claims to have a patent on the process of scanning documents and attaching them to email via a network, according to a statement from Sorrell’s office. A patent infringement assertion can be said to have been made in bad faith, if the demand letter does not have among other things the patent number, the name and address of the patent owner or owners and its assignee or assignees, and also does not include factual allegations concerning the specific areas in which the products, services or technology infringe the patent or are covered by the claims in the patent, the Vermont legislation states. Questionable lawsuits are also apparently a concern of the Obama administration. The president will direct the U.S. Patent and Trademark Office to train examiners to scrutinize applications for overly broad patent claims, and to start a rule-making process to require patent holders to disclose the owner of a patent, WSJ said. Obama will also likely try to curb the growing use of the U.S. International Trade Commission to settle patent disputes, according to the report. The trade agency has powers to block imports of products that infringe patents and other intellectual property. The misuse of patents to disrupt competition has been under scrutiny of the U.S. Department of Justice and the Federal Trade Commission. The FTC, for example, has warned against the use of standard-essential patents to gain exclusion orders at the ITC.